This surely will be a longer piece at some point … perhaps part of my forthcoming book The Great Mother Bible. I am feeling so tested these days to fully and completely step in, inhabit even, this spiritual work that Spirit (aka Earth Mother, in my case) has asked me to do. The fear that has been overcoming me is paralyzing at times. I keep on asking myself, why am I so afraid to be quite public about my chatting with Earth Mother? I grew up in a very Catholic family and they live rather close to me. The more I surrender to this work to be a Voice for Mother, the more I feel the need to distance myself from most of my blood relations since they really aren’t sure what I’m doing and it’s highly suspect from their perspective. The same goes for some of my friends from my earlier life as an environmentalist. Some have stopped communicating with me. Others taken themselves off my e-newsletter list. The honest truth is that I’m an insecure person much of the time and want everyone to love me and it hurts when friends abandon me since I’ve gotten somewhat or more than somewhat whoo-whoo for them. The flip side is that new friends have come in who understand and support the spiritual work I do (and I love them dearly!). It still hurts at times. And surely, there will be some Christians, or Jews, who are going to take offense at a book called The Great Mother Bible. There were those who took offense at my first book, If I gave you God’s phone number…. Searching for Spirituality in America, since that book did not speak the message of their God. And they let me know on no uncertain terms in various bookstores that they did not support my book. To put out a book called The Great Mother Bible implies that the older Bible might be considered The Great Father Bible. It implies there are other spiritual realities outside of the Judeo-Christian traditions. Which there are… that is why so many people have left their organized religions to seek out wisdom elsewhere, spiritual ‘truths’ that make more sense to many of us in this rapidly changing world. There is another blog entry on this blog about the shifting from the 3rd Dimension to the 4th and 5th Dimensions. You can read it here. This is part of what is happening on our glorious planet Earth right now. 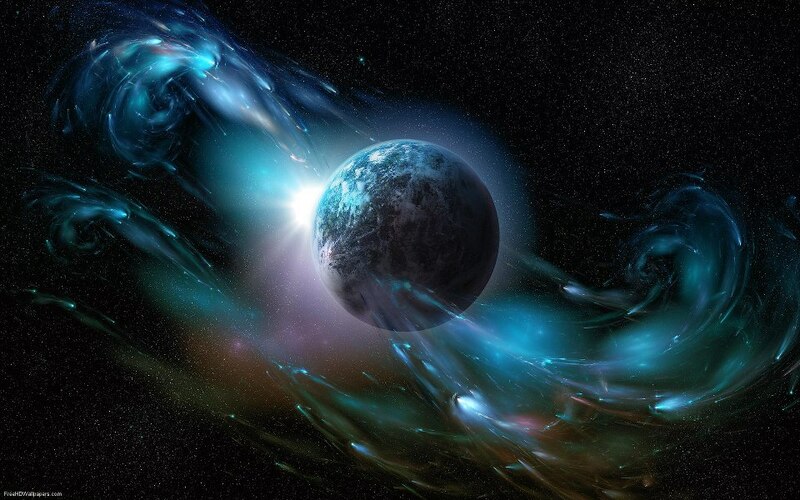 There are huge energetic shifts taking place… to bring in this New World. A world of greater peace, balance, harmony with nature, with Earth Mother, sustainable systems and more. It’s a beautiful world coming in. I’ve had visions of it all my life. Anywho, this is what Mother has been telling me about my fears. She is saying there is so much love and support behind this spiritual writing and work she’s asking me to do that it is only natural that these fears come up. The love is so deep that it is poking the fears up to be healed on a more profound level, so they can be fully released. Mother and all of my spiritual allies (I’ve got a few guardians) love me so, so much that they are pushing/coddling/loving/holding me through the birthing canal of this book, and my fully inhabiting what this book is truly about and my life work, at this time in my life. There are only two things, Love and Fear. Your choice. How’re you going to live? Wherever’s there’s love, everything’s that’s fear has to appear so that love can heal it because that’s love’s job. So, this is what I’m learning… to walk through the fears and step into this love. To allow myself to truly allow in how much Earth Mother’s love and the Great Father’s love, and more are supporting me as I continue to work through my dwindling savings to do this work, this book, and more. This is honestly what just about all of us are being asked to do these days… as we truly shift from the 3rd to the 4th and 5th Dimensions. To release the fears wrapped around materialism that are so mired in 3rd Dimensional thinking, and know that the universe works quite magically and powerfully and we will be taken care of. And when there is suffering, it can serve as spiritual teachings (karmic – at times) and we are only spiritual beings here on Earth for a brief time, and to know that most fear is an illusion, based on the old paradigm that is dropping away. We are all being called to release these old 3rd Dimensional ways and live more simply. More closely to Earth Mother, more reverently. More in community, more compassionately and trust in Spirit, magic, mystery, God and more. We are all being called. And I’m just one of us. Struggling along, limping along at times. But working through it. I’m learning how to inhabit fully this spiritual work Earth Mother and Creator have asked me to do. I signed up for, I understand. Just writing this blog post and putting this out there is a cathartic experience for me. Whoosh… what an adventure! These are sure interesting times and I’m learning to embrace it more fully. This entry was posted in Divine Feminine, Earth Mother, Earth Mother Message, earth spirituality, God, Great Father, Great Mother, nature, Religion, Sacred Feminine, Society Ills, spirituality, The Great Mother Bible, Writing and tagged 3rd Dimension, 4th dimension, 5th Dimension, bible, christian, Fundamentalist, lightworker, new paradigm, spiritual warrior, sustainability. Bookmark the permalink. So grateful you are in my life… so grateful! We are being called to the true work we came here for and you are stepping up beautifully. I’m just about ready to let go of any remaining shrinking, hiding, worrying. Spirit has shown me nothing’s happening til I do. I am called to write and bring forth what comes thru and from me…and while I’ve done that to a certain extent on FB, that’s the tip of the iceberg, ya know? I’ve been on the leading edge of a few movements so I know that the rest, the ones who think we’re nutz or arrogant eventually catch up, they really do. So do it or not, it’s our choice, and not even so much of a choice any longer, right? Catholic family here too and 16 yrs of Catholic education, and still a great love for Christ’s teachings and some of the liturgy…the Church, I broke away in the 70’s when I was in my 20’s. Done with the patriarchy and laws and disrepect. Your writing gives me courage, just like painting with Shiloh does. I’ve been in a little bit of limbo and your words help me closer to the edge. Thanks, sister!